Most of us earn a living by being at the office for 8 hours every day. But is working 9-5 actually productive? 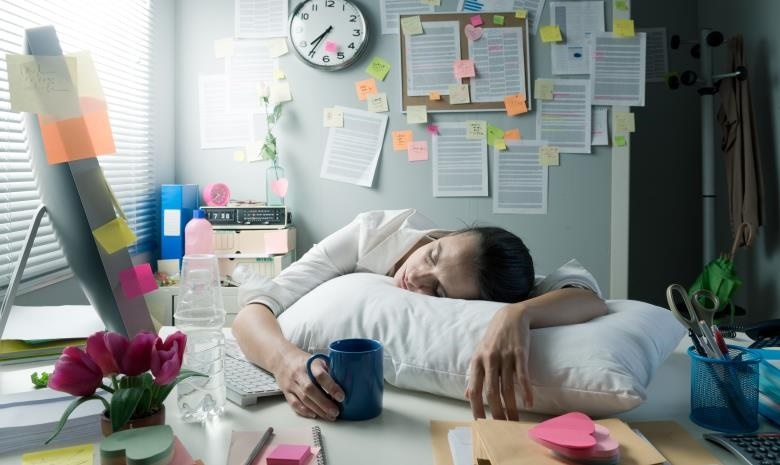 If you work in an office that allows employees to work flexi-time, then it might not be hard for you to imagine a future where there are no 8 hour work days. But for those of us with harsh bosses and strict company regulations, short days (regularly) are but a dream. But your dream could soon be a reality. With the Information Age upon us, more and more people are starting to realise the benefits of shorter days and the cons of normal 9-5 days. The current 9-5 idea was created in an attempt to fight against unfair labour practices (in other words absolute torture) of employees during the Industrial Revolution. Once upon a time (or 200 years ago to be more specific) people - including 10 year olds - worked 10-16 hour shifts, 6 days a week. At the time, maximum productivity was the aim, and the longer people worked in the factory, the more products would be pushed out at close of business. Factories needed fixed schedules for their workers. That’s when Robert Owen was like ‘Oh, heck naw, this ain’t right’ and campaigned for 8 hour work days instead. And with it, his slogan was born: 8 hours labour, 8 hours recreation, 8 hours rest. (Although back then labourers probably weren’t stuck in traffic, squashed in over capacity busses or stuck with unreliable - and unsafe - train services several hours every day on their commute to and from work.) Long story short, almost 100 years later only, Henry Ford implemented an 8 hour work day - and his profits soared. And with it, the birth of the core hours of business. But it’s time to realize that the system does not necessarily lead to efficiency anymore. Modern life and the rise of technology doesn’t always accommodate fixed schedules like before. For starters, we don’t actually work our 8 hours a day. There are so many distractions: talking to colleagues, unnecessary meetings, checking emails, social networking, getting and drinking coffee, and staring into space when feeling bleh. And now that we are accessible 100% of the time through our mobile devices, our clients, bosses and frantic colleagues can reach us easily. (Ever notice how everything is suddenly a 'work emergency'?) So, even when the 8 hours at work ends, we still continue working. In the same way that we ignore our family and ‘me-time' when we’re out of the office, we can get distracted with personal issues while we’re in the office. From the Facebook notification to the Whatsapp group text, to the urgent email: Dad, I’m throwing up at school… Can you please come get me?’ There is no start and end to any aspect of our lives anymore. There are so many differences: we’re all individuals and work differently with different responsibilities and different creative processes. - Brad is most productive in the morning but Jen is most productive after 12, and Angelina flourishes after 6pm. - Courtney can work 2 hours straight before taking a long 30 minute break to recharge her batteries, but Kimberly can only work in 20 minute spurts then needs 5 minutes of Candy Crush, and Robert needs to walk to the kitchen after every single tick on his to-do list. - Then there’s Janet who’s a single parent with a teenager who's a recovering drug addict, Letoya has no children or other family responsibilities, and Michael's twins just turned 4 which means there's no end to the amount of responsibilities he has. So even though we all have the same work responsibilities, the same salary, and the same job title, our lives still make us all unique worker bees - with different workable hours each day. Also read: Is your job killing you? Many believe that employees should be encouraged to complete their work, meet deadlines, and have a working arrangement that support their lifestyles, regardless of clock in/out time. Employee morale and corporate culture has recently become important as CEOs are realising that a happy employee is a productive employee. And that is the point: maximum productivity. In addition, management runs the risk of being subject to the consequences of a stressed employee who is forced to sacrifice family time, health, and hobbies. And a stressed employee costs a company a lot more than you think… There's even a global campaign for a 4 hour work day! To get the most out of your hours at work, follow these productivity hacks that’ll ensure you keep a balanced lifestyle and minimise the risks of a burn out. Or, get a new boss with one of Careers24's many vacancies.